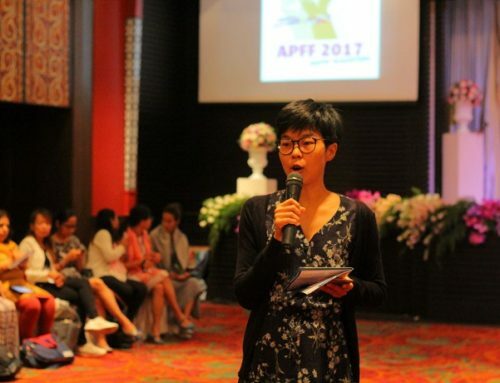 More than 300 feminists have gathered in Chiang Mai, Thailand, for the third Asia Pacific Feminist Forum (APFF). 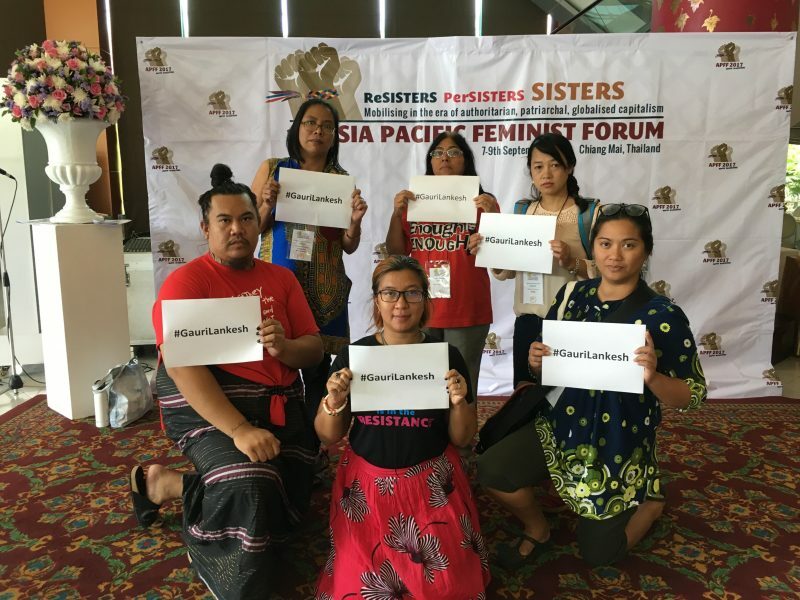 On the opening morning the participants shared their anger over the growing patriarchal authoritarian rule in the region and globally that has grown out of three decades of neo-liberal globalisation enabled through militarism, fundamentalisms and patriarchy. In this context, the murder of journalist Gauri Lankesh was highlighted as an emblematic example of the attacks our governments have enabled through their support to right wing vigilante groups and their own attacks on civil society, feminism and human rights. Her murder is an assault on democratic space, dissenting voices and human rights defenders. A fearless journalist, Lankesh wrote about and ridiculed the rise of authoritarian, patriarchal nationalism and human rights violations committed against religious minorities, different genders, persecuted people like the Rohingya refugees, sexual minorities; as well as oppressive traditions, caste politics, and the nexus between environmental destruction and corruption. Hers was one of the strongest voices against the polarising Hindutva forces in India in recent times, both in Kannada and English languages. Her fearless journalism had drawn multiple threats and verbal attacks from groups like the RSS and she faced legal charges of defamation for her work. “We believe her murder in a large city, right outside her home, was possible because of the climate of impunity created to support violent, right wing groups and because religious and cultural extremism has been normalised in an attempt to enrich a few at the expense of the many. Murders of Women Human Rights Defenders like Lankesh make the rapid erosion of rights in India possible,” says Albertina Almeida, human rights lawyer from India. 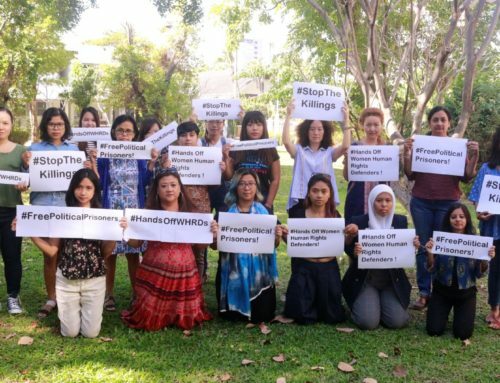 While the government puts enormous effort into charging and harassing journalists and women human rights defenders , they fail to prosecute those responsible for murder, for hate speech and criminal intimidation. 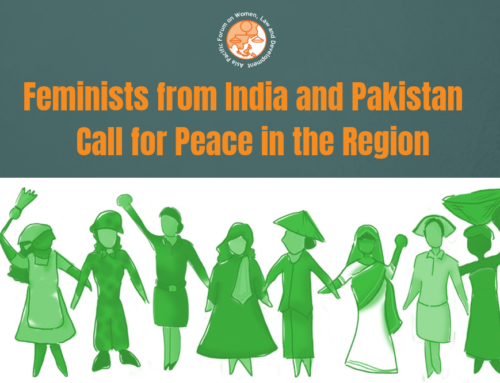 “It is imperative that India’s democratically elected government perform its obligation to maintain an atmosphere of free speech, as deemed a fundamental right by the Indian Constitution; and protect those who are threatened for doing so, ” says Kate Lappin, Regional Coordinator of Asia Pacific Forum on Women Law and Development (APWLD). 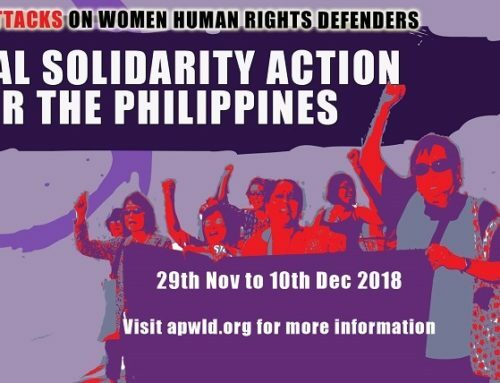 Cristina Palabay, woman human rights defender from Philippines adds, “Failure by the Government to conclusively investigate the murders of people in recent times, amounts to affording a de facto impunity to the Hindutva forces and defaulting on its obligation as a signatory to various international human rights treaties”. We condemn the killing, and the rise of unchecked right wing Hindu nationalism. We demand that a judicial inquiry be initiated by the Government of Karnataka, to inquire into the killing of Gauri Lankesh.